Car repair company Arnold Clark has announced that it will be adding 100 new vehicle technician jobs across its UK operations. The Glasgow-headquartered business has said that the opportunities for mechanics will primarily be based across its central belt operations, the Daily Record reported. The company is looking to take new members of staff on board so that it can support the “continuous growth of the business”. Hiring new staff presents a range of additional considerations for car garages and dealerships. First and foremost the employer must decide whether or not new members of staff will be named on the company's road risks insurance policy, thereby enabling them to drive either customers' or the business' vehicles. When deciding who to have as a named driver, it is worth remembering that younger employees, particularly those under 25, will be more expensive or more difficult to add to the insurance policy. An employer must also ensure their employer's liability cover – part of their combined motor trade insurance policy – is still robust enough to provide cover for an expanding workforce, just in case a member of staff should suffer an injury while at work. 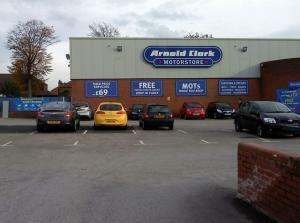 With more than 9,000 employees, Arnold Clark is Europe’s largest independently owned, family-run car dealer. It operates around 200 dealerships, 130 service centres, 40 accident repair centres and 13 parts centres across the UK. Eddie Hawthorne, managing director of Arnold Clark, said of the jobs drive: "With great career development opportunities and one of the best packages in the industry, we are expecting a huge number of applicants."